Last week Dropbox added the Two Step Verification feature that adds an extra layer of protection to your Dropbox account data. Here’s how to enable and use it. We’ve been telling you about the importance of enabling Two Factor Authentication on any account that supports the feature. We’ve covered Two Factor or Two Step Verification for Google accounts, Facebook and even Dreamhost accounts. As more online services start adding the extra layer of protection that Two Factor Authentication provides, we’ll continue to show you how to enable it. For Drobox users, this is a key security upgrade because once enabled, the two factor authentication code will be required to access your Dropbox Account through the website and when adding new sync devices to your account. 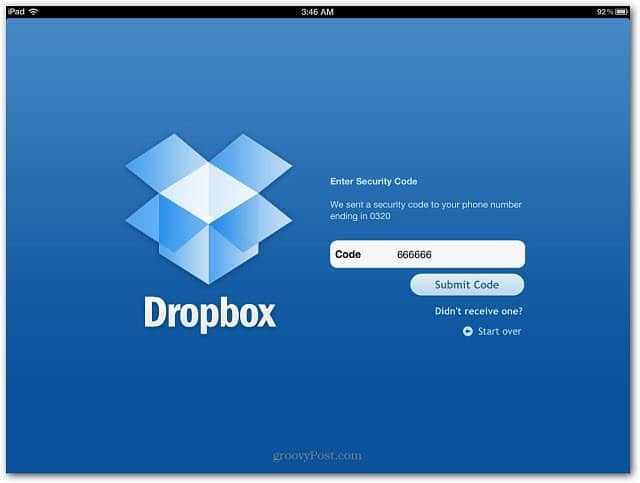 To enable Two Step Verification in Dropbox (also known as two factor authentication), log in to the Dropbox website and click the security page tab. 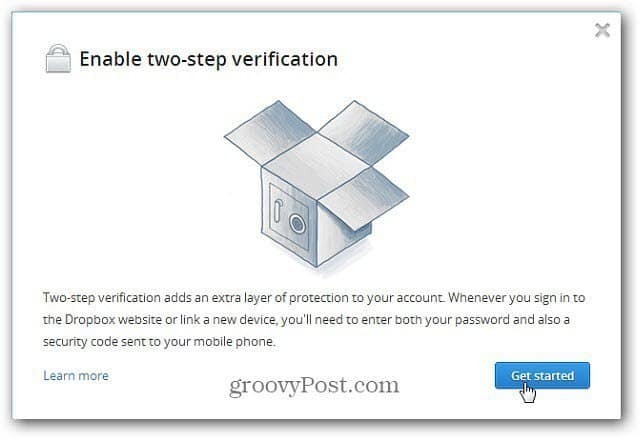 You’ll see a message at the top that introduces Two Step Verification however if you don’t you might need to enable it for your account by clicking this link – http://www.dropbox.com/try_twofactor. 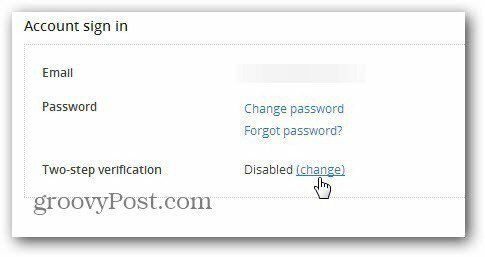 Now, scroll down the page and under Account Sign in, click the Change link next to Two-Step Verification. 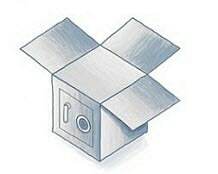 A window comes up letting you know that Two Step Verification adds an extra layer of protection to your Dropbox account. Click the Get Started button. Next, for added security, you’ll need to enter in your Dropbox account password again. Now you have a two choices how you want to receive your extra security code. Either a text to your mobile phone or you can use a mobile app on iPhone, BlackBerry, Windows Phone or Android smartphone. Note: Unlike Google’s Two Step Verification, it doesn’t support security codes sent to a land line. 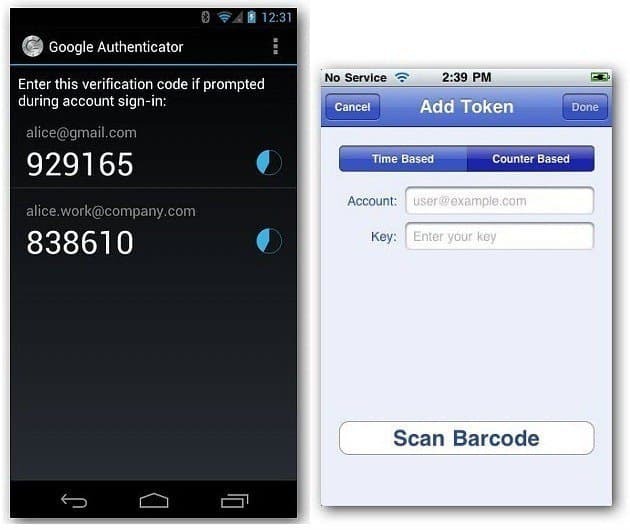 You can also use your smartphone with these apps that support TOTP protocol (Time Based One Time Password). Here’s a list of mobile apps and platforms that support TOTP. Here I’m having a security code texted to my mobile phone. I find this method the easiest. Type in the mobile number you want the code sent to and click Next. Now enter the six digit security code that’s texted to your mobile phone and click Next. Then you’ll get a 16 character backup code. You need to store this is a safe place so you can log in without your phone and need emergency access to your Dropbox account. Success. Your Dropbox account is now protected with an extra layer of security. 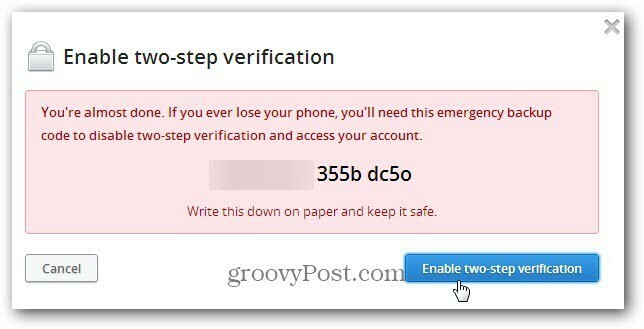 After turning on Two Step Verification, you’ll need to enter your password and security code when logging in from your mobile devices. Here’s an example of entering the code on the iPad. We’ve been preaching the benefits of Two Factor Authentication for a while now on the site and on our podcast The TechGroove. If you want to make your accounts as secure as possible, we urge you to enable it for all accounts which support it…TODAY! I’m one of those who does not have a smartphone and use my cellphone simply as a phone. No Two Factor Authentication for me then? Agreed. That update is long overdue. There’s really no excuse anymore for online services.